Nick Strom, a Varsity football coach at Camden Catholic High School, says he was fired for not giving white players enough time on the field. 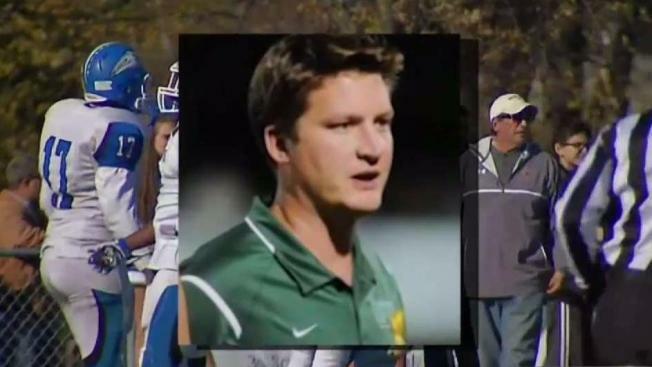 A South Jersey football coach claims he was fired because he didn’t have enough white players on his roster. Camden Catholic High School informed Nick Strom on Friday that his contract as a history teacher would not be renewed for next year. Strom was asked to resign from his posts as head football and golf coach and was fired Monday night. Strom says he was directed by Camden Catholic’s president Mary Whipkey to give white players more time on the field in order to “connect with the school’s alumni.” Whipkey denied this however, saying she never discussed race with him. Strom’s attorney confirmed his client learned in a letter Friday that he was being let go for violating campus dress code, confronting a fellow teacher in front of students and leaving class early to prepare for golf practice. Some parents at the school are outraged over the firing and are planning a private meeting Tuesday night to discuss it. Terrance Ware, a father of two African American sons who are both juniors at Camden Catholic, told NBC10 his sons will not return to the school because he doesn't feel like its safe for them. “With all the racism that’s been going on and everything that has transpired... for me, I can’t do that,” Ware said. “I have to be a father first." The Diocese of Camden is currently investigating Strom’s accusations.